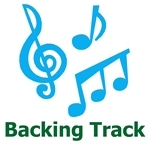 Any song from any book is available as a backing track.. simply choose the songs you want, enter the total number of songs you want to order, and finally list the names of the songs in the "order comments" section of the checkout cart.. The tracks and lead sheet will be e mailed to you as soon as possible. Each song will include a pdf lead sheet, a track with melody and a track without melody.